CH Westend have been established since 1988 and in that time have successfully undertaken more than £28 million of plumbing, heating, property maintenance and construction work. 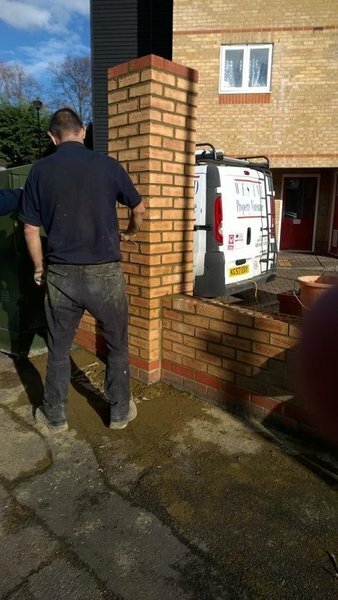 This in itself brings experience and as a family run business the company has grown to provide a complete building and maintenance service. From our Acton offices we operate in North, South, West and central London areas as well as large parts of Middlesex and Surrey. We have recently celebrated our 31th Anniversary. 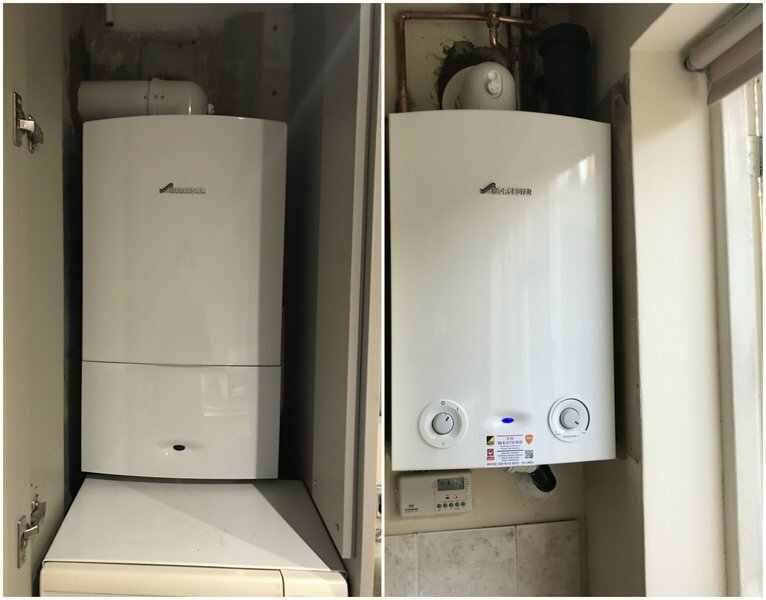 As accredited Worcester Bosch and Vaillant installers we can currently offer up to 10 years parts and labour on all Worcester Bosch Cdi, Si and Ri model boilers and up to 10 years on Vaillant ecoTEC Plus model boilers which are supplied and installed by us before 31st December 2019. Called this plumber through a builder website. Plumber was a good chap but his service totally awful. He fixed toilet with incompatible parts which I provided but it was his choice to use it or not or use his own. Later called them because toilet lid was keep coming out. He came to change handle and charged for it while it was him who fixed the handle last time. Now I've discovered the toilet pipe is leaking which he fixed it while changing sypone. On top of this, I went to the loft where he went to close water and I had never been there before and found tape there is also broken. Not calling this company again. Will find someone professional who at least won't break my house and pocket. Toilet comes away from the wall and kitchen tap needs elastic bands and jam jar to stop dripping all in one day - time to call trusted CH Westend (been using them for years)! From initial call everyone friendly to arranging for Aniss to pop round on Friday morning. Lovely young man who having assessed my nightmare gives me various options with no BS. Couple of hours later no drips, sparkly tap and toilet safely secured again. Amazing as always - Thank you. Wouldn't hesitate in recommending CH Westend. CH Westend completely gutted our old bathroom, removing a stud wall and installing thermal insulation on the outside wall. The floor was levelled and tiled, two walls were also tiled. New fitted bathroom units were installed along with a steam shower. Robert worked very hard and carefully on all plumbing and electrical aspects and we're delighted with the final result. In the bedroom CH installed thermal insulation to the outside wall and acoustic insulation to the party wall. Then plastered and decorated throughout. Generally, the whole team were conscientious and friendly, I enjoyed having them in the house. CH Westend stripped out our old bathroom and removed a stud wall that hid some pipework. They then installed a new suite with a steam shower. The external wall was covered with thermal insulation before plastering. Two walls were tiled and the floor was levelled and tiled. The work was to a high standard. Robert, installed the units and shower. He took a lot of care and made sure that everything looked right. We're really pleased with the finished result. In the bedroom, CH Westend installed thermal insulation on the outside wall and acoustic insulation to the party wall and then plastered and decorated throughout. Again we were very happy with the works. Thanks for the comments Mr Mohammed. From Carol in the office to Donnie the plasterer, C H Westend are a professional company. David visited to give me a quote on plastering my living room and hallway ceilings urgently due to my insurance company starting work in my flat because of a leak the following week. I accepted the reasonable quote and he sent Donnie round the next day. Donnie is a perfectionist and done the job to a high standard within the time limit set. I don’t usually leave workman in my flat alone but I do with C H Westend as they make me feel confident and at ease. This is the 4th time I have used this company and have no complaints with any of their work, from fixing a window to a bathroom refurbishment. I would highly recommend C H Westend if you want a professional job. When my water heater suddenly started leaking I called in CH Westend to diagnose and eventually replace the unit. As usual they did a great job as quickly as the delivery of the new water heater and parts allowed. I would not hesitate to recommend them for any job. I recently had my walls plastered and I could not be happier with my experience. Great job guys. The ladies in the office were helpful and friendly and the Engineers seemed to be very professional. They laid dust sheets down everywhere before commencing work and ensured that I was happy for them to start when they did. I required a company to fit bathrooms and I used 'CH-Westend' for the entire bathroom installation. I felt very satisfied with my experience. Many thanks. They were wonderful and did a great job. Had to cover the pipes after a new boiler had been installed, did it beautifully. Stuck the tiles and left and returned a few hours later after they had set to finish up, really nicely. They were very polite, friendly and listened to what I wanted. In the end it looked exactly like what I had imagined. Big thanks.